THE WALK-OFF by Georgetown Secondary School’s cricket team, at last Wednesday’s Massey Insurances Secondary Schools’ Under-19 cricket final, has dealt another blow to the already damaged image of schools’ sports here. The unfortunate and unexpected turn of events came in the 18th over of Emmanuel High School Mespo’s innings, when coach and Physical Education teacher of Georgetown Secondary School Irvine Warrican summoned his players off the field. This was in protest of the umpires’ call of noballs when Georgetown School’s team infringed with their field placements, during the power play overs. Irrespective of Warrican’s claim that he as coach of his team was not aware of the use of the 30yard circle and the attending fielding restrictions at particular junctures of the match, his actions were wrong. But whilst admitting Warrican’s ill-timed and hasty actions, what unfolded last Wednesday may be a culmination of bottled frustration of the poor administrative system in place for the schools’ competition, save and except track and field. It can be said, with some degree of certainty, that Warrican would have thought twice before callling his players off the field had it been the same profiling that the Inter-Secondary Schools Athletics Championships (ISSAC) gets, with a multitude of Ministry of Education officials seated in the President’s Suite. the priority, that at last Wednesday’s final, those officials were missing in action; there were no medical personnel, no Red Cross staff or other trappings that are part and parcel of ISSAC. Things, though, had to come to a head, as even prior to Wednesday’s match there was a myriad of issues which affected the hosting of the cricket competition. The constant changing of fixtures, late starts because of the lack of cricket balls, among other teething matters, showed up the scant attention paid to that competition. 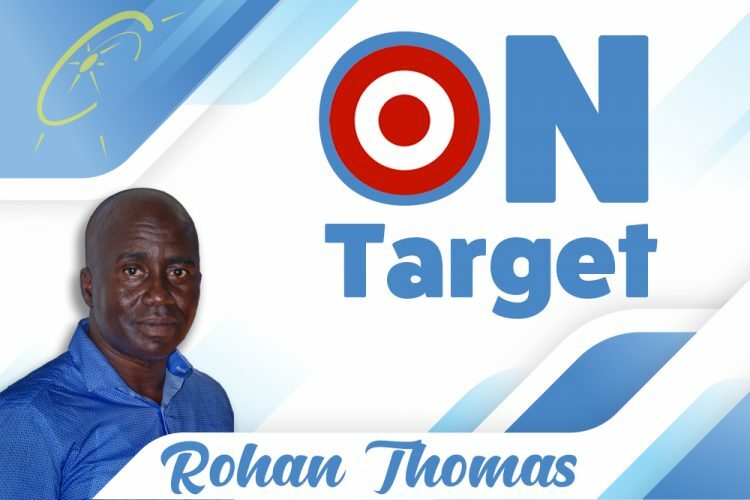 Persons learning of the incidence at the Arnos Vale Playing Field on Wednesday, will be looking to make Mr Warrican the fall guy, the scapegoat and the villain. They would not look at the deeper erosive matters, but instead, focus on Warrican, as his status in the field of education and in the spheres of local and sub-regional cricket. Looking at his action, at the other sides of the coin, points to where we are with the development of young sporting minds. Again, Warrican erred in his hasty imposition of his authority, however, it exemplifies how much of an influence teachers and coaches have on their students and charges, respectively. Conversely, in the case of last Wednesday, it also showed up a weakness in our young sports people, as on that particular occasion, they lacked the inner fight to convince Warrican that they would have soldiered on. School Mespo, granted the position of the match at the time of Warrican’s intervention? So, the reality before us is that the Georgetown Secondary School’s team was ordered to wal -off, thus gifting the title to Emmanuel High School Mespo. Last Wednesday was the second time in three years that a secondary schools’ cricket final was mired. In 2016, there was the field invasion at the Park Hill Playing Field, when Georgetown Secondary faced Sandy Bay Secondary. These occurrences cannot be reversed, but what is critical, is that many of the burning matters need be addressed. Administering such competitions are not done via emails and by some phone calls, but by interfacing with the schools’ personnel and other stakeholders. There needs to be a sit down and really and truly chart a better pathway for our schools sports programme, as what is passed off for quality is making thigs worse. Hopefully, what happened at the Arnos Vale Playing Field last Wednesday, should hasten this process. Firstly, all those who are engage in the framing of policies in schools’ sports, must first take the beam out of their eyes, before they can begin to take the speck out of others.